The Experimental Farm Network (EFN) facilitates collaborative plant breeding and sustainable agriculture research in order to fight global climate change, preserve the natural environment, and ensure food security for humanity into the distant future. We believe participatory plant breeding on a massive scale can lead to breakthroughs to help us not only adapt to climate change, but one day actually stabilize the climate. The work of revolutionizing our food system to save our planet is generational in scope: it will take generations to undo the damage already done. Let's get moving! EFN is administered by a Philadelphia-based 501(c)(3) non-profit cooperative committed to social, racial, and economic justice, and dedicated to practicing organic agriculture along agroecological principles. To accelerate innovation in sustainable agriculture by facilitating unprecedented collaboration on research and the free sharing of resources. Create an open, easy-to-use online platform for participatory plant breeding and other agricultural research. Connect researchers, plant breeders, and scientists with an army of volunteer growers. Spread knowledge, seeds, and other resources to all those who may take advantage of them. Build a cohesive network of people & organizations committed to working cooperatively over the long-term. Develop new crops & growing systems capable of mitigating or even reversing the effects of global climate change. Nate was born in Philadelphia. He graduated from Abington Friends School in 2000 and from Georgetown University’s School of Foreign Service in 2004. Following college, he worked as a landscaper, camp counselor, office manager, and theatrical spotlight operator, before committing himself to a life of activism. He has worked in a variety of jobs in politics and organizing, including Barack Obama's 2008 presidential campaign and Joe Sestak's 2010 U.S. Senate campaign, though he quit his last “real job” in 2012 (as an organizer with the Service Employees International Union). He is grateful to consider himself equal parts farmer and organizer today. As a volunteer, Nate has been involved in efforts ranging from the Sudan Freedom Walk to Occupy Sandy. He has participated in foreign delegations to Mexico, Honduras, and Cuba. He helped found InterOccupy, an open communication platform for activists, and used it to help coordinate Occupy Sandy New Jersey. He ran for U.S. Congress in 2012 (and was called “the first Occupy candidate” by Politico magazine). He has served on the Executive Board of the Project for Nuclear Awareness, the Cumberland County (NJ) Long Term Recovery Group, and the Jewish Social Policy Action Network. He is a member of the Seed Advisory Committee of the Non-GMO Project, the Education Committee of the Northeast Organic Farming Association of New Jersey (NOFA-NJ), and Vice President of GMO Free Pennsylvania. 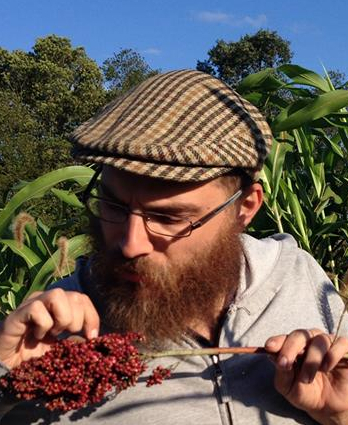 As a plant breeder and researcher, Nate has a broad range of interests, but he is most engaged at the moment in the pursuit of climate stabilizing perennial staple crops, especially sorghum. Nate on EFN: "The twin scourges of our time are climate change and injustice. I hope EFN will serve to combat both. By generating and sharing more sustainable alternatives for farmers and consumers, we can not only create an agricultural system geared toward climate change mitigation, but also challenge some of history's most destructive corporations. Our current system is unsustainable. We need to build something better." Dusty hails from Richfield, Minnesota. He attended Augsburg College in Minneapolis. After college, he co-produced a political journalism program on KFAI, a volunteer-based, community radio station. 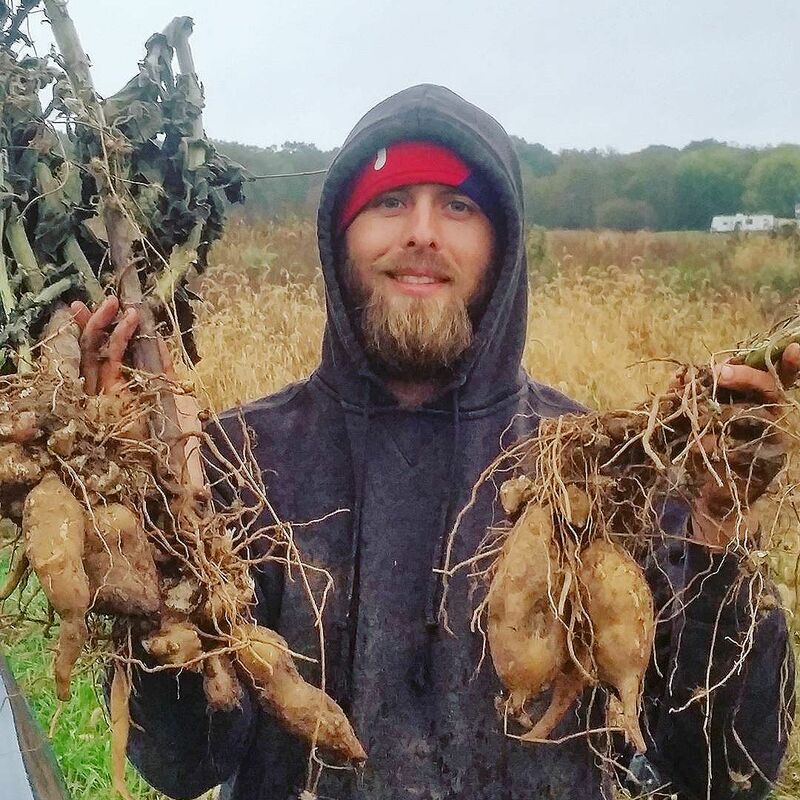 He was a founding member of the Concrete Beet Farmers, a successful urban farm that still flourishes today in the Twin Cities (as Stone’s Throw Urban Farm). In late 2011, Dusty moved to Philadelphia. He was a rider and member of the Pedal Cooperative, a non-profit residential and commercial compost pick-up service using trailers pulled behind bicycles, with organic matter delivered to community gardens. Dusty has also been very active in urban farming in Philadelphia. He has direct experience with for-profit and non-profit models, as well as direct-action guerrilla gardening. Dusty spends a lot of time contemplating our manifold environmental and social crises, and how we can address these crises through practical means. He believes the trajectory of neoliberal globalization and our fossil fuels-based economy is woefully at odds with the health of ecosystems the world over. He is passionate about building a resilient future from the ground up, and thinking deeply about what is actually sustainable. He co-founded the Experimental Farm Network with Nate Kleinman because it is a direct-action approach to addressing the food system crisis: we are empowering individuals to co-create a collaborative, solutions-oriented community.